3 original tracks by Massi and 2 remixes. 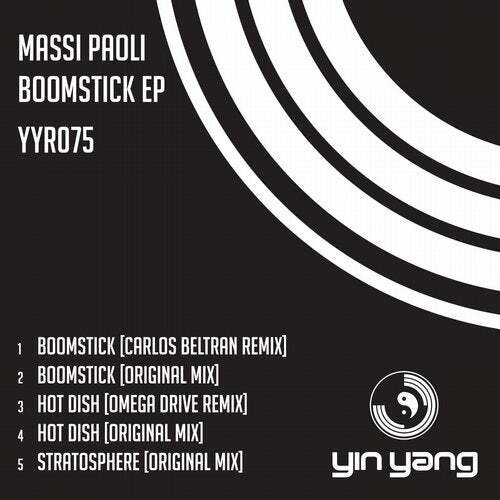 Massi Paoli is a resident producer on Yin Yang and this is his first EP release for the label. Boomstick and Hot Dish are 2 very grooving techno tracks that just jack and drive and use the bassline to really move the tracks .. 2 very devastating tracks that will destroy any techno floor. Absolutely amazing originals. Stratosphere is a slightly tougher track that is sure gonna be a big hit with many techno DJ's.. This track is just obscenely good. Remixes are courtesy of Carlos Beltran of Pornographic Records and from long time producer Omega Drive, both give outstanding takes on the individual tracks.